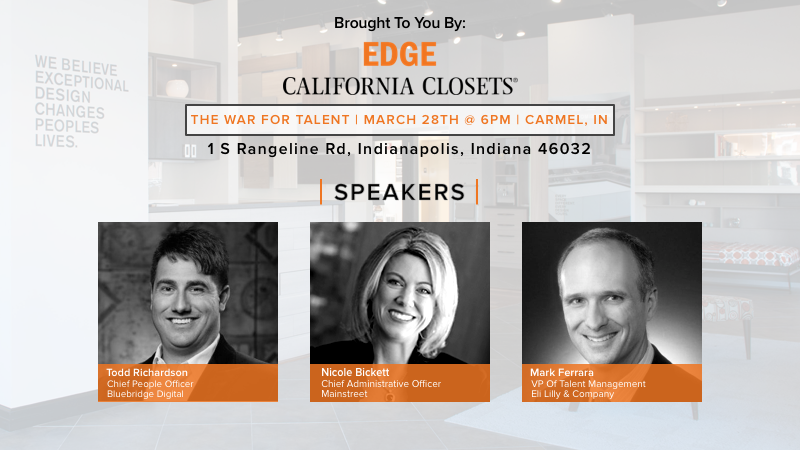 Come learn valuable insights from three culture architects who helped shape three of Indiana’s top brands and most desirable companies to work for. For business executives: Discover what it takes to attract and retain top talent to meet the demands of today’s high-growth business environment. For emerging leaders: Connect with peers and some of Indiana’s most successful executives, while learning the secrets that will set you apart from your peers. This event is part of EDGE Mentoring’s quarterly Burst Events where we invite the foremost experts and thought leaders to share their experiences, perspectives, success and failures with emerging leaders. Light snacks and drink will be provided for the event. Those who are interested are free to come to the post-event social at The Pint Room!